Authors are encouraged to submit high quality, original works which have not appeared, nor are under consideration in other journals. 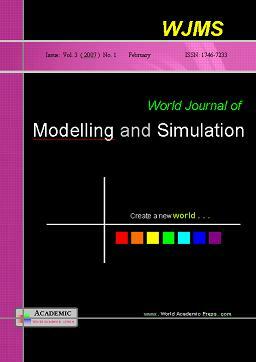 The journal welcomes articles on Modelling and Simulation. See Home for specific areas of interest. For guidelines on manuscript preparation, please refer to the WJMS Template (LaTeX Format, recommended) or WJMS Template (Word Format). In any case, all pictures in the article should be saved as jpg format at the same time, i.e. *.jpg. The paper(s) should be submitted to editor@wjms.org.uk. Author also can contact area editors regarding author’s research area by email directly. Please click The Author Guide to download the submitting guide. If you have any queries, please email to info@wjms.org.uk.